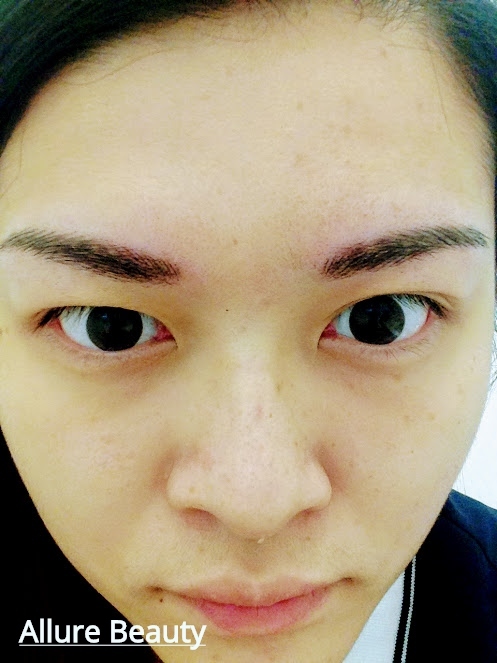 I recently did my eyebrow embroidery and I did it at the famous Salon #1 Bishan Salon with Amy. So I am super happy with the results. 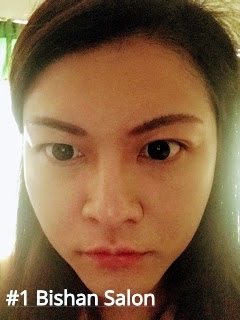 Here are my before and after photo~ As you can see my eye brow is sparse before. And my eyebrow is not perfect because I did my eyebrow (creative embroidery)before with Allure beauty for 700+ and the result I would say is satisfactory only. Why? Its costly and my skin cannot absorb the skin well, and they will use small blade to carve out the shape of the eyebrow but it will fade over time. But the fading to my case is fast. So for the price I paid, I feel this is not a price worth deal. Plus, you will get some red mark in your eyebrow. And this is the scar!!! It will follow you forever unless you laser it off. And for laser, you need to pay few hundred for it. Luckily for my case, I have plenty of eyebrow to cover it and this is not affecting much of me. So let me share with you my experience. So Amy is very skillful and you can leave your eyebrow to her. She don't even need to draw an outline like Allure Beauty and erase and draw again to find the perfect eyebrow shape. But it stings a little haha, for the sake of beauty you will need to endure it. But no scar, just colour and you just need to replenish the color for every 9months to 1 year. And it only cost you $180 with a free touch up. So this is really a lesson learnt. When we are not in the industry, we are easily manipulate by the news, advertisements or beauticians. You really need to try it out and compare the differences. So opt for natural, no blade eyebrow embroidery in future ok~ let me know what you think and any embroidery experience you had so far. Review Stars: ✡✡✡✡✡ (5/5) MUST GO!